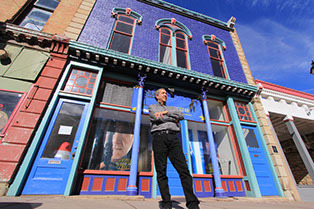 Elmo Baca has constructed a new “boutique”, first-run movie theater and performing arts center in a landmark historic building in Las Vegas, New Mexico. 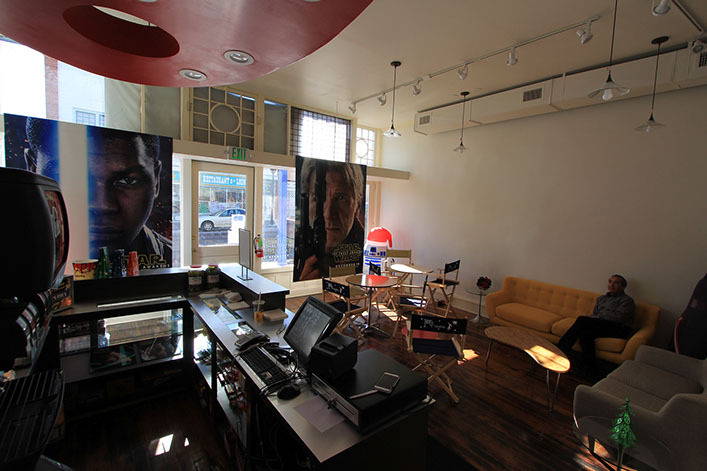 The location is the historic Baca Building at 146 Bridge Street, in the heart of the Bridge Street Historic District in Old Town Las Vegas, NM. The location is one-half block east of the Plaza park and served by generous on-street parking and an adjacent public parking lot. 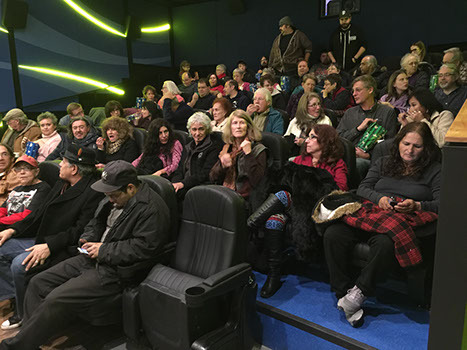 A 50-seat movie auditorium with a lobby and concession area has been designed by David Vesica, a licensed professional architect in New Mexico and Texas. 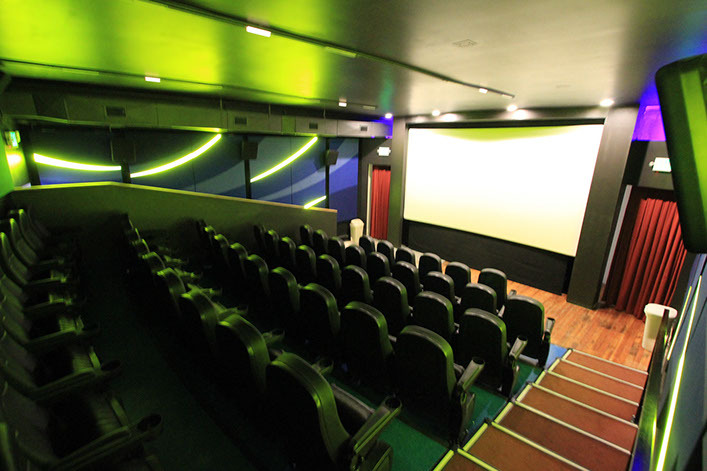 The Indigo is equipped with state-of-the-art digital projection and DOLBY surround sound systems. Consideration of portable, flexible staging and lighting for live theater productions and modest music performances has also been included in the theater planning. An interview with owner, Elmo Baca and architect, David Vesica, discussing plans for the new Indigo Theater.